"Set of tools to manage marketing tasks." Showpad allows us through its platform to manage the different marketing campaigns we are doing, it also helps us find a better way to carry out all the sales processes we are doing, with this tool we can share all kinds of information with our clients, about the products we want have a greater scope, something I like is that I can launch a simple campaign of a product, and share it on all social networks with a single click, which helps to perform this type of tasks in less time, content positioning tools of this system, help to have a better idea, which makes us have much more successful campaigns. I would like to change some features in my control panel, I need a certain type of tools, that I should always be looking for when I need them, I would like this tool to have more editing options on the part of the users, I am not someone that likes to contact to support, to ask nonsense, I am someone who likes to do things in their own way, so I would like this tool to give me more freedom in my work, which would prevent it from being so similar every day, recently we also had problems with our antivirus, we had to make certain configurations to avoid conflicts between Showpad and our antivirus. Ideal for any company that wants to reach new goals in the distribution of content and products via social marketing. I can send our clients all kinds of information through different social media, which helps us to give them more information about our company and our products, we can create different reports, with our products and services, adding many details, which we can then send our customers and thus help grow the entire sales team, getting closer to buyers. "1st years experiences introducing Showpad in an international medical company"
The support provided by Showpad to start using the tool really helped me a lot. At Showpad they really try to step into the customer (my) world and do their best to not only understand challenges I face but also pro-actively offer solutions in how to increase adoption. Today there is no easy way to support a multi national organisation. We chose to work with different channels for local markets in a division structure. This means that there is a lot of duplication of work and communication needed. 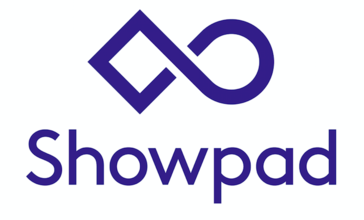 I can definitely recommend to start using Showpad, at this point in time we have limited experiences using Showpad as sales enablement tool but as we have upgraded our account to Showpad Plus we will soon start benefitting from this functionality too, allowing an even more interactive and dynamic presentations during customer visits. Our sales team have always easy access to the "latest and greatest" marketing content and this allows them to present and share the solutions we offer to our customers in a sophisticated and modern manner which can help us to differentiate from competition. Showpad has also helped us in bridging the marketing - sales gap as we have now much better insights in which materials are used in the field. "Showpad. activating our content enabling enhanced & agile customer interactions"
immediate access to all available current content on iPad, iPhone and laptop.supporting agile customer interactions. exceeding customer expectations. enabling rapid content updating/refreshing. reinforcing our commitment to innovation. we have implemented locally a "testimonial series" and the feedback has been great. users are further encouraged to develop their abilities and interactions with Showpad by these Champion Showpad users. i also enjoy the positive feedback from Showpad users regarding ease of access to latest content. using internet explorer as we are unable to update to the latest version of chrome. i really dislike not being able to access the "administrator platform" via my iPad. this would be a great option further supporting my ability to be agile in responding to my "internal" customers. immediate access to all available current content in and out of office. always most recent content. upskilling yourself. awareness through announcements. enhancing customer engagement. immediate sharing of content with customers. building technical credibility and expertise. supporting agile customer interactions. reinforcing our commitment to innovation. I like the fact that we can organize all our product files and show them through our electronic devices to our customers, or even the fact that we can share these files directly through several platforms to these specific customers. Moreover, I like that all the images and videos can be shown in good quality resolution through the app and our devices. This app is truly universal as we can use it anywhere, anytime we need for our work purposes or even personal. It's not what I dislike, but what I think is missing. What's missing is that we cannot see which customer opened the link we shared with them, we just get notified that someone has opened it. And sometimes I receive this notification about having messages in my inbox, but I do not know if by inbox it means the tab where we can see the activity of the links we shared. Enjoy going through all the cool features of Showpad and organize all your files as you want. It's very beneficial during my presentations as I show my customers some videos and images through the app. Then after my presentations I usually send some links of my organized product files to my customers so that if they need to, they can refer back to the shared images, videos and files. It's also beneficial as my customers are capable of finding information quicker without waiting for my response, in case they are in a rush. With Showpad we have the possibility to share all the content we want, and monitor the customers views and sharing/usage of it. For a Worldwide Company like Konecranes this is a problem-solving tool for what regards External Communication, both to our Distrubutor networks and our Frontline. Both these parties are not at the HeadQuarter and most of the time travelling. With Showpad the Company news / data / sales material / can reach everybody everywhere and with whatever device you have. This is one of the main reason we have chosen them. This is a very interactive and power sales tools, which have also increased the sales ability by reducing timing for getting technical documentation or sales material to be provided to the end-customers. Sometimes I have trouble in finding content with search function or users inside the system, as administrator. The structure of folders is not so easy to understand/create when you have to learn it for the first time (as admin.) but then it becomes easier with time. "Great insight into the effectiveness of our sales tool"
Having visibility into how people are interacting with the content that our sales reps are sharing is something we’ve never had before. This insight enables them to have more meaningful follow-up conversations based on real data, saving them time and allowing them to focus on contacts who show a genuine interest. From a marketing perspective, it’s really interesting to see which materials are being viewed and shared the most by our sales reps. The system sometimes has strange bugs. Recently it was not possible to link to content within an announcement when it had been locked for sharing, this was a frustrating as many of our internal sales enablement tools are not for sharing. The bug was eventually resolved by the Showpad developers. As a company we produce many videos, these are hosted on our company website and are owned by the content team, so Marketing do not have access to the original files so we are unable to upload them to Showpad for sharing. It would be great if there was a way of sharing and tracking the URL to the video. Having a cloud based library for our sales enablement material is a step forward for us. In the past we have had a number of different repositories and none have been fully adopted. So having something that is easy to navigate and simple to find content via is great for keeping the sales rep engaged. The area Showpad excels in the most is the data that we get back from the content we’re sharing. Our sales reps have never had this type of information before so it has revolutionized the way they use materials with their contacts. And having ti integrated with SFDC is a must. "Keeps i formation flowing in a simple and measurable way"
Ease of use at both admin and end-user levels. As an admin for a Showpad account I have found it to be simple and quick to set up, and very easy to maintain. The analytics also give great insights into what information is being used, by whom and how often which helps to make future decisions about the content offered and training provided to specific team members. The end users report having a great experience too. Showpad has given them access to a large amount of information on portable devices which they otherwise would not have had. The platform is easy to navigate and very intuitive. This is extremely important for my team as many of them live in developing countries and have lower levels of education and training than users in modern countries. Honestly there's very little to not like. For someone with very limited IT skills I have found it to be easy and stress free to use, and the team has improved results since they were given access to Showpad. Take the time to explore functionality and ease-of-use. It's a great platform. Showpad is being used in developing markets in the Pacific Islands to help field sales forces and distributors. The key difficulties we experienced in these markets is poor access to information and training, particularly for those in remote locations, and inconsistent execution standards due to lack of knowledge and clear objectives. Team engagement has improved in leaps and bounds, execution standards have lifted and there are early indications of increased sales as a result. "Making it easy for Sales to share latest Marketing content with customers"
Showpad makes it extremely easy for Marketing to host the right content and for Sales to easily find and present it in front of the customer on any device, online or offline. Before we implemented Showpad, Sales would often struggle finding the right collateral and would either make their own or not use anything which adversely affected the sale. I would really like for Showpad to allow Sales users to rate content and for those ratings to be available to other Sales users. In the same way that consumers check out product ratings in Amazon.com, it would be highly beneficial for Sales to see how their peers rate content. I would recommend Showpad for any company that would like to improve how marketing content is distributed to sales to increase engagement. We want to make it easy for Marketers to get content into the hands of Sales, and for sales to easily find, present and share content in front of their customers on any device, online or offline. I love the amount of content I'm able to store within a single platform and have the ability to sort through without an internet connection. The only thing that would make life a little easier here is if there was a "simpler" way to integrate Microsoft Power BI within Showpad. There are many solutions available for content management and distribution. I enjoy Showpad because I am able to flip through content among multiple brands and segments that we carry with ease and organization. This tool really acts as a personal assistant for us. When you're at a customer meeting you have everything you need in an organized platform and are able to creatively dynamically display your presentation materials. Furthermore, it allows you to also have access to content you didn't plan on discussing in a meeting. It saves us from scrambling through emails and files and all of this is available offline. If you want to send a customer a deck and their isn't internet? No issue. The document then goes into the queue and the second your back on internet connection, the link to the presentation is sent. No need for reminders. The ability to change the conversation by switching from one brand to another. I have realized that this tool works as a cross functional form of communication for our entire organization. "Everything you dreamed of in a content management tool… and more!" The simplicity and user-friendliness of this content management tool in finding, using, managing and sharing a unlimited range of different types of content is unmatched by any other platform today. It works flawlessly on any App platform, through any online browser, ensuring the user can always have the most updated content available at their fingertips. The Channels which we have developed on Showpad are serving both our partners outside of our company as well as our internal users (sales), who enjoy as well the great Outlook plug-in. Every time a partner sees us use our channels on Showpad, they also want to start using it. With our direct contacts at Showpad over the years any points of concern or needs have always been approached with a positive and open mind. Showpad values these in being the best resource to further develop their solution offerings. So far it is the only multiplatform tool that offers such an extended level of features. - Having the confidence that our users can rely on the content being provided to be the most up to date at any moment in time for the wide range of documentation we make available in our industry. - Our Pan European users are much more efficient and lose less time in building their sales story using Showpad as their source for finding relevant content. It helps them differentiate in their approach from our competitors. - The content is available when and where a user needs it and not when marketing, prints or mails it. And as a result much more content is being used and valued. "Showpad hits its stride in 2018"
We use Showpad for a few functions, some newer than others. This year, we've noticed that Showpad has begun rolling out innovative features that are easy to understand and provide a clear business value. Some of the best aspects of Showpad are our ability to track content performance amongst teams, attribute engagement time to content shared via Showpad to our other ABM platforms, and always have the right content for the moment on hand. We would like to have more granular permissions for viewing one-off content similar to how Shared Spaces works (password protect, possibly). That said, we spoke with our CSM, Heather, about this and agree that Shared Spaces 100% solves this frustration for now. Are you in charge of managing content within an ABM / ABSD based team? Do you have a sales team that fields inbound and outbound prospects with the intention of meeting them in person? Have you ever wondered if a prospect viewed page 3 of the report you sent him Tuesday? Need to replace the file you sent a customer where you misspelled their company name? Are you trying to measure prospect engagement within content shared via email for lead-scoring? If you answered yes to any of these questions, you should talk with Showpad. You will want to consider the level of service you would like, as the implementation can ultimately take additional resources. Success with Showpad ultimately rests on the configuration and setup you decide upon, guided by their expert CSM team. Each time we add a new functionality to Showpad or enable a previously-unused feature we are able to measure the impact and iterate based on our findings. We leverage Showpad for content marketing and management, sales enablement, and engagement tracking within our ABM / AMSD strategy. Showpad makes it easy for us to upload, distribute, share, manage, analyze, and report on our existing content. We're really excited to build out AI features within Salesforce - it will take time but we're already watching the systems talk with each other to suggest the best content to share with prospects and customers. We look forward to utilizing the mobile and tablet applications at in-person events and for on-site meetings more. We rely on the analytics within Showpad to inform the marketing team about which content is performing well and to learn about how our sales team members find success through their individual content sharing paths. The customer-facing team at Showpad is helpful - both via their support team and via their CSM team. It is apparent they want their customers to succeed and get the most benefit from Showpad. "An amazing content management tool!" Showpad is an amazing tool! This platform is easy to customize to fit your needs and so simple to use. This dynamic tool enables our business to always have the most up to date information available at your finger tips. The reporting is fantastic as it allows you to track users and how content is used. This way you are able to see what content is more relevant than others, or if everyone has viewed important information. I have also found engagement is really high from the Brand Managers - wanting to provide more information and get more brand awareness out there to the team. I really love Showpad - only thing I would like is more design capability/features. I like the flow that can be arranged between the channels and segments of information. I also like that there are multiple options for sharing information. The videos that answer FAQs are super helpful too. More updates need to be provided to notify users about the latest tools and options that have been added to the platform. I wish there was more freedom for arranging documents or being able to create an experience around the information. A preview of video content before it is clicked would be a neat addition to the platform as well. Be sure to share what kind of value the platform will have to your employees and how it will make their job easier. We are able to share and stream content with our users more frequently and with ease since everything can be found in one place. Showpad holds your hand before, during and after. Always keeping an eye on you, always helping you do you job well. Showpad helps you all the way. With implementation, how to structure, with training, all the little obstacles... and then they don't let go! Even when you are a 'reasonable' Showpad-user, they follow up, keep an eye on you, making sure your sales reps are using Showpad as much as possible. We had a lot of trouble with old vs. new content. Also it took a lot of time for our sales reps to navigate through all of our material. It makes everything so much easier with Showpad, especially finding the right content and sent to a customer. Our sales rep realy enjoy this. Also they feel like Showpad 'have their back' when they are with a customer that asks about something the sales rep did not prepare for. They can always find something on Showpad. "Excellent Solution for a Hard-to-Please Field Sales Team that uses Microsoft Surfaces"
Showpad is the ONLY sales enablement system that offers a truly device agnostic solution as well as complete offline functionality. The search is fantastic. The admin interface is easy to use. The reporting and analytics are impressive and incredibly useful. We have experienced some minor glitches. However, the help team is very responsive. We set up pilot implementations of five systems. Showpad was more expensive, but the feature set is unmatched. We needed a system to deliver information, training and sales tools to the sales force. We wanted something that offered us insight into how assets are used and what is most valuable. We were transitioning from a linked PDF on a shared network drive. Showpad allows our marketing teams to easily manage more than 1,000 documents, including some that are confidential, and deliver them to our field sales team. Our sales team can easily access these assets from their Windows devices and are not dependent on having an internet connection. Both marketing and sales love that Showpad shows us when a customer has accessed a document and the amount of time they spent with it. "Great support tool for (inside) sales, marketing and customers service!" I realy like the ease of use and the functionalities provided by the tool. We gather great insides about the use of our sales tools by our (potential) customers and can use this information to further improve the customer experience. It would be great if we could work with single sourcing for our sales tools like brochures, CAD drawings, Product Data Sheets etc. Most practical would be to have a link to a Document Management System. SHowpad is a very easdy to use and practical tool to further strengthen your (inside) sales, marketing and customers service in order to improve the customer experience. "Complete transformation of how to manage marketing for our sales force"
From an administrative perspective, Showpad has enabled us to deliver better content in a much simpler manner and organized manner. We are now able to "group" assets according to product solution and customer persona, whereas previously we could only organize materials in siloed product-based directories. This allows our sales force to present information based on the audience they are speaking to with minimal clicks/touches. This has made the field marketing team's lives much easier while also increasing the Sales team's efficiency. The second area where I have been most impressed by Showpad is in their speed of engineering. They are terrific at launching new and relevant functionality quickly and frequently. My only dislike is the lack of an app for MacOS. We've launcedh Showpad very recently, so I'm unable to confirm a measureable sales results improvement, however, the system is improving compliance and helping us deliver a more consistent message to customers. "Engaging with customers became so much easier"
Many of our conversations with customers end up with requests for additional information. The sharing function of Showpad makes this process seamless and on top of this we get analytics on how they engage with the content. This alone is worth the app. Showpad has no function for sending out group emails, so if I want to follow up with multiple customers, I have to export the email list into another system like Mailchimp and go from there. It is a great tool for a sales team that shares content frequently and helps Marketing to stay up-to-date and deliver content to multiple users. Sharing of clinical and product related information, often in a small group setting. It is easy to load up new content to Showpad, share information and get customers engaged with the content. "Showpad takes Sales Enablement to the next level"
User-friendliness, great helpdesk, Showpad listens to their customers, Showpad enables you to show great content in a simple, pleasant way to the customer and send personalized content packages to the customer. Afterwards you can track what your customer is doing with the content. Localization can still improve, which is especially important in an multi-lingual international context, at the moment, you have no possibility to indicate in how many languages a file is available. However as I have understood, a solution will be presented in early 2018 by showpad and they are aware of this missing feature. Install a trial version. The technology is very user-friendly so it is very easy to start using the system and commence with a trial period. Make sure you have a content management plan. Showpad without content is useless. If you don't have such a strategy, start small, in a agile way to implement new content. Start with power-users that can become evangelists of your product. Sales Enablement, showing the right content at the right time to the right customer. Having analytics on our content shared. Content presentation at fairs. Having all content available in an offline structure. Ik vind het aanmaken van de verschillende collecties zeer gemakkelijk, je hebt meteen toegang tot de juiste informatie op je afspraak. Ik vind het spijtig dat je weinig opmaakmogelijkheden hebt in Showpad zelf. Als je daar een mail wil sturen naar uw contactpersoon, ben je beperkt tot de grijze tekst. Vandaar dat ik veel Showpad integreer in mijn Outlook. Daar heb ik meer mogelijkheden en kan ik woorden onderlijnen of in het vet plaatsen. Door het gebruik van showpad kan ik veel korter op de bal spelen bij prospects. Vanaf dat ik een notificatie krijg, bel ik enkele dagen later om het dossier op te volgen. Natuurlijk ga ik niet enkele minuten na de notificatie contact opnemen, dit zou verkeerd kunnen overkomen naar de klant toe. "Visibility into Usage Drives Better Content Alignment"
I loved getting aggregate data on what content was being most often used by customers and prospects. It enabled my team to help sales understand what they should be sharing, and it also helped marketing focus in on creating the right kind of content that was going to resonate with our prospects. The initial process of tagging all of our past content took a while, but once we'd gotten that done its been a very smooth journey. We're able to better align sales and marketing on which content should be used and created. Showpad helped us start sharing content in a cohesive way so that we can track, measure and report on what customers and prospects are engaging with, so we can improve our sales cycles. "Userfriendly and useful platform to share marketing material." It's a easy to work with platform. In no time Sales users have acces to the marketing material that is shared across different, well-structured channels. So all your team members are equipped with the latest information needed on only one platform to promote your brand. I would really like for Showpad to allow Sales users to work in a Excel file. For the moment we only can upload a excel sheet, but are not able to adapt anything in it. It makes it easy for us to distribute the latest information to our sales users. We can provide them with more diversified content such as video's, persentations, HTML content... In short it improved the communication stream between marketing and sales! "Excellent for Remote Sales & Staff"
Manual updates for Outlook desktop app, not much else! Have your strategy for Showpad ready and create an implementation plan including training for all internal users and staff. Keep training and adding content to keep your users active! In our first year of using Showpad, we saved $20,000 on printing expenses. Our sales team now has access to all collateral and literature on the road from their tablets, phones and laptops. The ability to view content on the fly and pull up the resources they need, especially in front of customers, has been hugely beneficial. "Excellent Document Sharing for Field Sales"
Access to current/updated documents across all devices (laptop, iPad, iPhone) at any given time. I also love the e-mail notifications letting me know when items have been viewed by those I sent them to. At this point, I have not seen anything I do not like. I’m only writing this because I needed 40 characters to move forward. From a Field Sales Perspective, having all relevant documents, white papers, proposals, presentations, etc., at my finger tips at all times is invaluable. In a dynamic environment, where data and information change on a weekly basis, the ability to ensure I have the most up-to-date presentations is invaluable. And the fact Showpad is so user-friendly only increases its value. Everything about this product just keeps getting better. The way we can arrange and store content. The tracking of when emails and content is viewed. The lovely apps we use on the iPad. And of course it integrates with our Salesforce instance. The main issues with language are being addressed with the addition of smart tags some while ago. Otherwise I cannot say anything really bad about the product. We are able to deliver and maintain marketing content quickly and efficiently via the Showpad app. We are also able to link to our customer database within Salesforce and track those Marketing reports and activities where the sales team have been interacting. Showpad enables us to share all the marketing info with the sales team in a very convenient way. The program is very user-friendly and allows us to send updates directly and ready-to-use to the sales team. The sales team is also really satisfied, as showpad helps them to structuree their visits and allows them to share information directly with customers as well. "Great communication platform which closes the gap between sales & marketing!" You can provide a unique sales experience for your customer by using the special experiences. Also you can follow-up your sales discussions in a better way by getting an insight through the analytics. From the admin point: you can get an understanding of the content which enables discussions and which are liked by sales during a conversation. The connection between Showpad and Microsoft Dynamics is not really sufficient at this time, but as I understand they are working on it. Getting the up-to-date information in a visual appealing way at our customers' site! Getting another sales experience for our customers by changing your sales discussion using the support tool. "I think Showpad is the best tool for TSRs we've had in my almost 7 years at USTA!" I haven't found anything I don't like to be honest. The constant need for assets by the TSRs. They no longer have to ask for things (at least often) from my already really busy department. If it's in Showpad, it's approved and free-game. It also helps to have all the national assets on there. It's made our jobs as marketers easier because National produces so much great content. By monitoring information sent to a client you can gage interest and response. When a client opens a document - you know they are at least interested. If they return several times you also know they are trying to review and know that you should reach out soon. This along with having the information all stored in one convenient location which can be accessed anywhere you have internet makes Showpad a powerful tool. The Outlook plug in is terrible - most of my Showpad sends are from Outlook. It can only be used once or twice, then close and reopen outlook. If you have sent other emails previously and don't close Outlook, it will crash the program. This is a serious flaw and causes a lot of time to be wasted that should be used reaching clients. Great way to share content - Outlook Plugin works, but requires extra effort. Showpad makes it convenient to find documents. If a client asks for something unexpected, you can go to Showpad, pull up the document needed and discuss with them. You can get a feel for clients true interest in the information you shared. "Easy to deploy and use; Showpad has great customer and user focus"
A Showpad implementation is easy to launch with their channel and experience editors. I was able to get a pilot set up and completed inside of a month, and a full deployment done in about a month once content was set up (time will vary for that step). Showpad's platform flexibility has supported a diversity of content and businesses within our organization. Showpad works hard to standardize features across platforms and clarify when there are differences. Support site is excellent as is customer support and success. Showpad had by far the best interactive capabilities when we looked at vendors - we have a heavy interest in interactive content experiences and importing existing html apps and Showpad supports that. Showpad also has a technology focus and is constantly delivery improvements and new features. We are a large enterprise customer and our content management needs are diverse and complex, so we've asked for some enhancements to make life easier for admins. From what I understand Showpad is working on a release to enhance content management capabilities. We've also asked for enhancements around the interactivity of powerpoint assets after conversion for viewing and management of PPT vs pdf. If you are a very large company as we are and implementing all of Showpad's integrations,, be prepared to work through some issues, most likely due to your own IT security rules and other factors. Have your requirements very clearly organized when comparing vendors. Showpad provides an advantage in many areas, but it's important to know your priorities. We needed a cross-platform capability that could work on and offline, and would give us the insight we crave on content interest. The ability to track customer engagement is by far the most exciting feature because it increases the efficiency of where reps spend their time, the quality of meetings due to insight about customer interest, and has the potential to accelerate deals. We will be using the interactive experiences functionality in Showpad to enable guided conversations on the platform. We anticipate saving ~2 hours per week per rep.
"User Friendly Effective Current Digital Literature Distribution"
I like the flexibility to create customer-facing presentations for my favorite go-to literature, and that they will be up-to-date. Being static links that are shared, you lose the benefit of the constant updating ... is there a way to be informed when a document you have shared is updated ... including the list of contacts who have used that link? When linking Showpad pages to another presentation deck - like PointDrive in LinkedIn, it does not show a nice preview because of the login page ... that needs improvement, but other than that, this tool is super easy to use, functionally easy to locate files, and very effective for customer information requests. This tool allows lots of information to be shared in a presentation format allowing customers to choose to open/view what is most relevant. I feel good about the level of detail I can share without attaching email files that are likely overlooked, confirmed by emails when people view. For example, I sent a presentation link to a customer who had a dying lead ... and it rekindled the conversation and doubled the opportunity. "Hesitant to start, but love it. Save cluttering email, I send large volume documents to customers"
I like best that I can see how customers are viewing information I present. I can see them keep going back to reference documentation. I can see exactly what they're looking at and how long they're spending. I like that I'm not cluttering my email. I like fact I can create bespoke collections for each customer. Whilst using Showpad for Outlook it kept crashing my Outlook, but my in & sent boxes are always very full so I expect this reason why. Therefore I create a draft email in Outlook (as I can't save draft emails in Showpad to attach to a collection. I then cut & paste the email text into showpad once email & customer colelection compiled & complete. This is very cumbersome & time consuming and during this process (& attending to distractions/customer calls and urgent matters that need attending, it keeps logging me out, which I find frustrating. Would be nice to have font effects, such as bold, underline, bullet point etc. All this formatting is lost when cut & paste text from email. The ability to see customers are using the literature provided. Solving email crashing / exceeding maximum attachment in email and having to use web transfer of files, which wasn't professional in appearance. Linking to SFDC immediately is perfect too. I like that I can see what they've viewed and for how long. I also like that it looks like it's a page for just them. I always explain it to clients that I've "created a landing page" for them so not to bog down their email. And so their team can easily view things too. I like that I can upload my own content. I would like to be able to create a subfolder. So I could have one folder for each account and then subfolders to help me organize who is getting what. It would be nice if i could organize by contact or subject within the accounts folder. Right now, I have a ton of collections for each contact. And I would like to be able to rename files once there uploaded. Maybe It needs to be called a different name for a different account or contact. I also can't use a powerpoint within ShowPad. So I had hoped to keep all content for client presentations in ShowPad but i lose the functionality of PPT once i"m on there. This survey is dumb. you already said I"m a frequent user, you have the metrics, it's what you sell for pete's sake! So why do i need to upload a screen shot? Sharing information efficiently and timely. "Easy to use, super informative as per customer interactions"
I like both the Showpad online app and Outlook add in as they're both easy to use. Especially now we've all upgraded to Office 365 (the outlook app doesn't crash anymore). Also, the small email files allow you to send videos and lastly and probably most importantly you can track all the interactions the customer has with the material. To find content in the outook app for environmental health is a nightmare. All the folders appear empty and you have to keep scrolling to the bottom to get the document you wish to send. Are customers actually interested in what you're sending them? "Easy to admin, easy to use, easy company to work with"
The platform is straight forward, in general just a few hours will be enough to start using it 'basic'. There are always new features and improvements made both for end users and platform admins: SHOWPAD takes their customers into account when developing their solution. Over the years SHOWPAD has improved for sure... but that also means it's getting a bit more complex. Sometimes it has become unclear for me where they are going, they seem to want to go in all directions and I tend to miss a little bit the simple and efficient platform we had a few years back. It looks simple to start but think well and be prepared with your structure, organisation. Take the time to review your ideas with your SHOWPAD customer success coach ... to avoid having 2nd thoughts and redo all! We avoid duplication of content at multiple locations, for sales engineers this is a great tool to easily get to what they need. Although the sharing is less used... for those who do it is clearly adding value and making them professional. It's also made easier to propagate content throughout our large organisation and reach out to everyone at once. "Very useful to share marketing material." I like that there is a database where I can review what I have shared with a client. In addition, be able to track what has been opened by that client, for how long, how many times they came back to look at it, and if they shared the content to anybody else. The integration into Outlook and Salesforce is also very useful as it reduces a step by adding the email automatically to Salesforce instead of me having to add it manually. Also the ease of use when searching for content (either in Showpad for Outlook or through the web) is excellent. Showpad does not only search for the title name, but can also search for specific words in pdf's which makes searching for relevant content to share that much easier. I also like the capability to be able to upload my own content to share to clients. I encounter bugs on showpad for outlook with the integration of salesforce where the contact doesn't always populate. So the auto logging to salesforce needs to be done manually. Showpad is a great tool to be able to share content and track that content by means of seeing what has been opened, how long it was open, and what has been reshared. Marketing, CRM, Sales, and sharing of content. It makes it easy to track what is being sent to clients, and also what is being viewed/shared by clients. "Showpad is a great product that only has provided a positive experience for the work place. " I love the analytics, and knowing when my client goes back and visits each document. That way I know they are still working on the info I sent. The analytics really tell us how engaged a customer is and helps with follow ups. If I need to show a document and I don’t have it on me, then I can send stuff instantly. Saving time and money on printing is a bonus and now I don’t have to carry a folder into my meeting with marketing documents. Got us out of Google Drive! It's easy to upload, search and download content. Love the tagging system. The folder structure is easy to configure and maintain. We got off the ground fast, our sales team also picked it up very easily. Searchability is amazing! Not a lot. Link tracking and attribution could be better. Amazing product for sales enablement! Want to make your content and sales more effective? Buy Showpad! Employees across the company have one place to go for Sales content. The content is indexed and searchable. Adding and removing content is easier than ever. Sales is more productive because finding content is easier. Sales is more effective because they know of all the content at their disposal. We've found more pieces of content being used. Marketing is happy that their content does not go into a blackhole, and is actually used by Sales. "Up to date content for Global Sales Team with user and recipient insights (5*)"
Personally, I like the admin and user experience. On an admin side, it's asy to manage content, administrate users permissions and report on user usage. On a user experience, there is huge value in the insights functionality and the ability to send multiple large collections to a recipients email without worrying about user mailbox limitations. Lack of Powerpoint integration is a big negative. Lack of embedded video ability in content is especially difficult when giving presentations from Showpad. If you have a remote Sales Team that you are worried about miscommunicating products/services or misrepresenting the brand with how they communicate your content then get Showpad today! We struggled with a Global Sales Team not ensuring to use up to date content or sending content not following brand guidelines. With Showpad we can rest easy knowing that each user has got the most up to date content and will be sending content in a uniform manner that fits our brand guidelines/image. It looks professional and ensures the Sales Team aren't misleading recipients with incorrect content/information. "Sales & Marketing alignment around 1 content strategy"
Showpad allows sales & marketing management to guide a sales rep during his/her B2B customer visits. Salesreps really like the tool as Showpad is very userfriendly and they achieve major efficiency gains. Furthermore, content is always up-to-date, always available, which is very professional towards a customer as well. In order to achieve our goals within our digital transformation journey, the Showpad team has helped us to bring sales enablement to a next level. Showpad's excellent support was highly appreciated along the process. Today, the link with other software packages can still be improved. However, we have been informed that the expected integrations are on the 2018 roadmap. Just test Showpad and you will be convinced that Showpad is a wonderful tool. We tested the software with 65 end-users (Sales Reps, Key Account Managers & Country Managers), only 6 weeks after signing the Showpad agreement. Set-up is very easy, with limited support from our IT department. "Flipped the sales landscape on its' head"
Showpad is our go-to tool for sales and marketing at Neopost. It has brought together the two divisions in a way we did not expect. We now work together to deliver the best customer buying experience possible. Sales deliver real-world customer insight and Marketing deliver crisp, professional content to tell the Neopost story. Showpad's cool, it's simple to use and differentiates us from everyone else. Showpad has very few negatives. Some of those are imposed by our own limitations. We could do with a tiny bit more from reporting, nothing major. Some formats of document don't present too well (i.e. powerpoint animations) but that drives us to look at alternatives that could work better. We can't keep up with Showpad!!! The pace at which these guys are developing their platform and changing the sales and marketing game is refreshing. If you want to engage your sales people, capture the interest of your customers and make super-heroes of marketing...look no further. New go to market strategy requires a new sales approach. No place for brochures when explaining conceptual software platforms or digital transformation projects. Blending presentations with videos and interactive content positions Neopost as the company we are now, not the one we were yesterday. Showpad is so easy-to-use in general, but it's also SUPER easy to set up. I was able to get all of our sales & marketing collateral uploaded & organized in the admin within one day! There are so many common sense features that make it easy to manage content (like version control) and manage users. The reports are great to gauge engagement with the sales team and recipients of content. Honestly, there isn't much to dislike! If anything it might be how many updates they're constantly making to the product that you need to stay updated, but they make that easy too. You won't regret using Showpad. The level of support you receive from onboarding through regular use is excellent. When it came to training staff they even offered to do it all for me. If you have a small team or a large team Showpad is easy to use. It's easy to add content, manage content and manage users. The experience for end users is great as well, regardless of where they're accessing the app. It just works! I never have to worry about Showpad and that's huge! Showpad makes it really easy for us to control the content our sales team uses when communicating with leads. We now have better insight into the content that works and the content that doesn't. "Showpad is a great tool to use iPad to show litterature to customers and share with them right away." I like that we can follow if customers are visiting what we share with them. I also like the fact that we can upload material that is not in Showpad yet. I don't like the fact that if I share with more than one peoples, for example, if I want to add my specialist, he will not see to whom I have sent it, I would like the possibility to have the choice of having them to see each other or not. I would recommend Showpad to anyone who has to share literature with other peoples. "Showpad is game changer when it comes to sales presentations and effective follow up!" Much more professional presentations, notifications on when your content is read (and when to follow up), and increased closing ratio = more sales and more money! Some of my dislikes is the slowing down of the app if you upload too much content. This has jammed me up a couple times with deadlines to meet and while trying to work efficiently. Less paper, more digital. Better interface for and with the customer. and the benefits have been more sales = more revenue for my company. "Very useful sales enablement system"
Showpad was easy to set up. It ensures the sales and PM team is always using the latest content, has a UI that looks good in front of a customer prospect, allows off-line replication and content / interaction analytics. Finally customer service team is great and very helpful. Showpad could be more user friendly for admins and reporting functions could be extended. Spend some brain cells on getting your keyword structure right before you upload too much content. Spend enough time on user education to increase adoption rate. Ensure people are using latest content. Easily share content and get analytics. Off-line availability. Customer facing interface. Mobile friendly. I enjoy being digital. I like having all of envigo's marketing materials at my fingertips. I utilize a tablet for work so i'm able to easily share material with clients during meetings. Showpad is a very friendly tool that makes it easy for anyone to use. The fact that you can use it on a pc, tablet or mobile makes it very handy. At anytime you can start your speech and access great material to support it! The current templates are a bit limited and the design could be improved. Best approach is a complete personalized experience but ti does require the help of an agency and some extra budget. "Enhance your customer buying experience while focusing your team and content"
ShowPad allows out sales team to focus on the clients that are leaning into our solutions and we know this because we see their level of engagement and pace of data consumption. We also utilize SP Experience for field sales team training and a centralized collateral repository where I can see who is 'studying' our sales material to enhance their sales messaging skills. When I see ShowPad used as a mass email campaign or fax blast - this is a sales team issue, not ShowPad. Don't wait, jump in. This is easier than a CM program or initiative. Upload what you are using today and learn from your clients and customers while you build out an optimal program. "Powerful tool - so many benefits"
The reporting is fantastic, it gives the marketing team visibility on what materials are being most utilised and to question why certain content has not been of interest. It also helps the management team have visibility on their sales team activity and interactions with customers. The reports in Salesforce are also a great way for marketing to see revenue directly associated with assets which is often really hard to do. The administration can be tricky, with channels, groups and divisions for users it can be a little confusing. We are using Showpad to send proposals to our customers, before we would have little visibility on what if anything was being read but now we have full transparency and we can use it to inform how to improve our proposals, what content is reviewed and what people scroll over. "Director of Marketing & Communications"
Showpad has been a great resource for our sales team when they are in the field making presentations. They can have confidence in the fact that they are using most up-to-date information and materials and the marketing team is confident that our brand is being properly used and represented. When sharing materials via email, the presentation could be more robust. Would like to share url links as assets. Getting the most up-to-date materials into the hands of our sales team quicker. Save budget dollars by moving to digital. Easy meeting follow up and distribution of sales materials. * We monitor all Showpad Content reviews to prevent fraudulent reviews and keep review quality high. We do not post reviews by company employees or direct competitors. Validated reviews require the user to submit a screenshot of the product containing their user ID, in order to verify a user is an actual user of the product. Hi there! Are you looking to implement a solution like Showpad Content?